A man was killed and two people were severely injured in a multi-vehicle crash in San Francisco's Marina District late Thursday morning, police said. 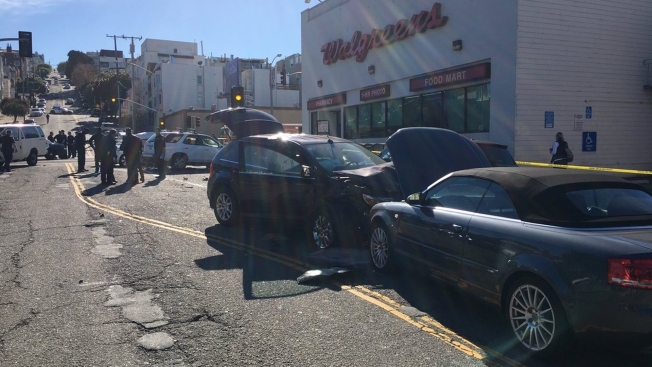 Four cars were involved in the crash that was reported at 11:43 a.m. at Lombard and Divisadero streets, according to police spokeswoman Officer Giselle Talkoff. Three people were rushed to an area hospital, where a man succumbed to his injuries, police said. The two others are a woman who is still in critical condition and a man who remains in serious condition, police said. Streets in the area were blocked off early Thursday afternoon while emergency crews respond to the scene. Police have not yet provided an estimated time of reopening.